The Tel Aviv based video startup disrupts the video industry once again. its own Video Player, AdServer and Yield Management Platform, all picked up by the biggest video companies such as Wibbitz, Disqus, and more the company has now decided to solve a bigger problem for publishers. which is on site video distribution, according to Vidazoo CEO, Daniel Slivkin. “Publishers invest a lot of time and effort in producing new and high quality video content, but they ignore the most important part of the puzzle: delivering these videos to their audience”. Think about it, every time a video is uploaded by the editorial team it is only attached to a specific article. Meaning that only the users that landed on this page will be the ones to discover this video which ends up being about 5% of the total audience. 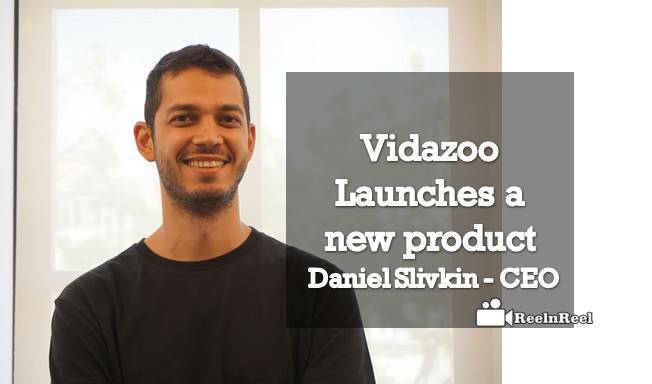 The way Vidazoo is solving this, with the Video Discovery Platform, is by automating video content delivery and personalisation in real time. The native algorithm will match every video from the publisher’s library to many more users that read a different, yet similar article. Let’s say there is a new car review video about Hybrid cars that is currently running on an ‘Automobile’ article. Many other users are reading the pollution article in the ‘News’ section without having any related video on this page; wouldn’t a review about the newest energy efficient cars interest them? Of course, it would, and that’s what the Video Discovery does. So how does this actually work? The algorithm scans all the publisher pages and crosses it with their video library or CMS. Once there’s a contextual match between the article and the most relevant video, the video player will then appear in real time above or below the article and help users discover new video content. Although some might confuse and relate this product to a content recommendation platform, it’s quite different since the video discovery is supposed to stream content on the page and engage users to more content through the same player, like VOD. So instead of losing users by making them click on referral links, the Video Discovery will do the opposite and increase their time on site or page. Case studies show that users spent more than 10 minutes on the same page, watching at least three different videos instead of leaving the site. The company also plans to add user analytic data which will help publishers understand their users and in return interact with them better through video. This way, the self-learning algorithm will consistently improve video matching relevancy by learning how their users consume video content and also allow publishers to curate videos accordingly. Vidazoo platform is already being integrated with the first ten beta users, which are all disclosed top-tier publishers and broadcast companies in US & Europe. “Out-stream ads are bad for user experience, and the only reason this format exists is simply because there is just not enough in-stream inventory out there, and that’s what we are going to change!” adds Daniel Slivkin.